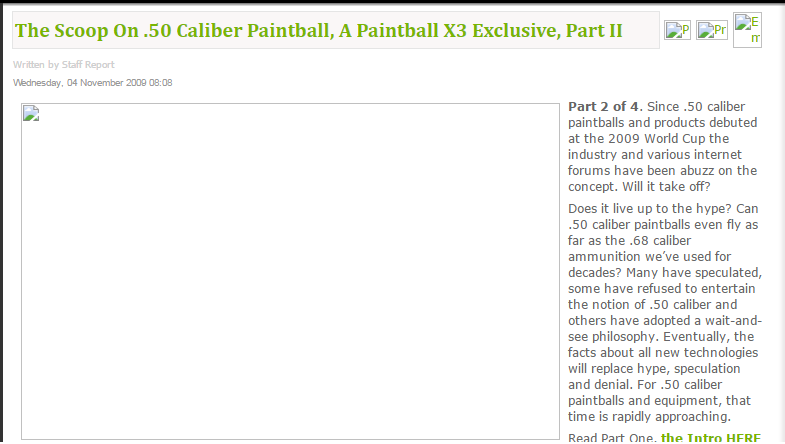 For our first paintball “Hall of Shame” post, let’s not forget this beauty from 2003! The MSTS finals were held at the Denver, Colorado USA, National Western, Indoor complex, November 23-24. Wayde Samuel was the last player of the Yarddog team facing four of the opponents. Chris Lasoya, bunkered Wayde. His move was very good, but it was not necessary to shoot him twelve times in the head. As a result, Wayde was knocked out cold and was unresponsive. Paramedics deemed it necessary to have him ambulanced to the hospital. He was cat scanned etc.. and released 7 hours later, having suffered a concussion. Lasoya claimed he only pulled the trigger 6 or so times while admitting he put 12 balls onto Wayde. It does not matter whether he pulled the trigger 12 times, trigger bounce occured, the marker was set on burst mode illegally, or there was a malfunction, pulling the trigger 6 times to shoot someone in the head deliberately is inexcusable. A player, especially a professional level player such as Lasoya with years of experience, is responsible for being in control of the marker, marker settings, and particularly of his trigger finger. There is no excuse for putting that many balls onto someone’s head or forehead, at point blank range. I think this is unacceptable paintball. It is not cool, not fun, hurts the sport and does not impress me one bit. The high rates of fire and this kind of pointblank headshot shooting or any other kind of punishment bunkering is not going to attract recreational paintball players. It does nothing but put players at risk for serious injury, blindness in one or both eyes should a goggle system be dislodged or possibly even death. Colorado. He and myself also sponsor one of the oldest teams in the country, the Yarddogs. Wayne has informed the MSTS that the Yarcdogs will not play in next years MSTS if LaSoya is allowed in the tournament. market image! I think not! Tournament players represent the smallest share of paintball and as a former tournament player, I would not subscribe to his philosophy. you see Michael Jordan wearing some similar name on TV?). At the pod*****.com site they made light of the event saying, in print, “a Timmy put some fool in the hospital”. A Timmy is slang for a Bob Long Intimidator paintball marker. because all team sponsorship contracts incorporate behavior clauses, an undisclosed punitive fine will be assessed against Team Avalanche to reinforce the importance of team responsibility in all matters. Hence, Brass Eagle will continue to sponsor Team Avalanche, under certain stringent conditions. Oh yes, Salm and LaSoya formerly played for Avalanche. During their tenure, the Avalanche team was on probation for 3 NPPL tournament games. Incredibly, LaSoya was mentioned as the “Michael Jordan” of paintball in the February 2003 issue of Paintball 2 Xtremes magazine. Who are they kidding? Who would Michael Jordan be if he was banned from certain basketball divisions for life? These types of paintball players are not ambassadors for the sport of paintball. Who in their right mind would allow someone to play who has been banned from the Pan Am, kicked out of a WPF and had a number of other controversial incidents? We are wanting paintball to be televised more, parents are in the bleachers watching their children play, Disney is getting into the sport. With that in mind, we cannot allow players whose goal in life seems to being nothing but headshots, cheating, and bringing disruption and shame to themselves and ultimately to the sport of paintball. 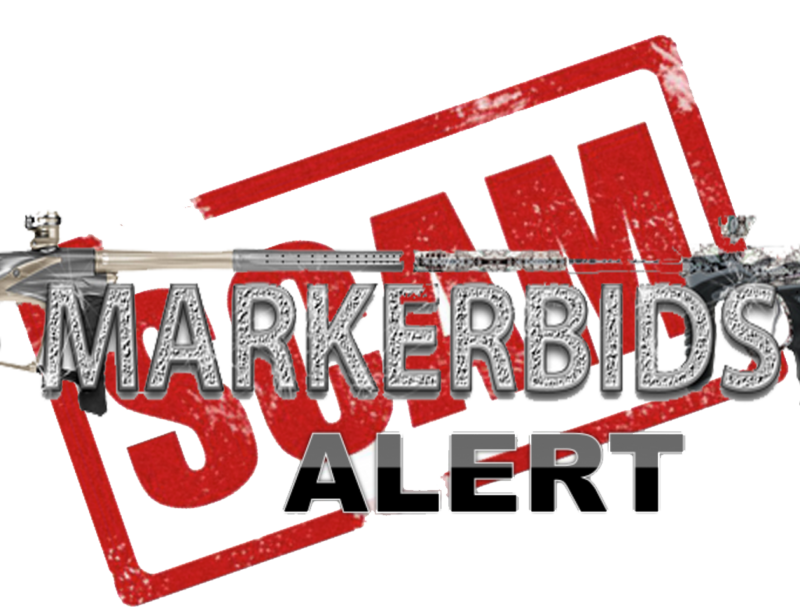 How might we go about forming an Organization for Responsible Tournament Paintball, that keeps a roster of banned players? This idea is being tossed around. The idea is, if a player is suspended or put on probation in one league, it will show up in a central player database. Other leagues would be free to make their own rules and how to handle these players. At least they would be on notice. Such leagues may even have a fiduciary responsibility to not allow player’s known to cause injury to other players. There are moves being made in this direction for 2003 by the IPPI, using the PanAm ID card system that has proved excellent for tracking individual players for several years. Ringers and players on probation or suspended are in the data base where any tournament circuit involved with IPPI can be aware of them. do so. We could not get the team captain to control his people. We personally delivered a letter to the frat house, stating, for their own safety and the safety of others we could no longer let their members play at our field. hit. He was told to shut the “blank” up. At the end of the game, the head ref was seen walking off with that same player. If parents start seeing this kind of unruly behavior, they are not going to want their kids to play paintball. In closing, I would like to say, the majority of paintball players, referees and event promoters are wonderful, consciences people who want to see the paintball industry flourish “AND” do the proper things to help the industry flourish. A player like Chris LaSoya, who I know personally, is not a “bad” person, in fact, he is quite personable. It is just his actions that are no good for the growth of paintball, as is the case of other negative actions mentioned in this editorial. Looks like the former owner and emptier of paintballer’s pockets is throwing in the towel. As of this post on 68caliber.com, Mike has still not delivered the guns, still not given back any money. Welcome to the Hall of Shame Mike.